Does your party need some more colour? We at Ezypromos have everything a party requires. Try imagining a proper celebration without balloons. You can’t! Ezypromos got your back. We offer high-quality custom printed balloons for all your party needs. Party balloons are literally the most cost-effective party essentials for your planned event. The party balloons are the first thing the guests notice, and they are very inexpensive. But the most important aspect why our balloons differ from any other regular material balloon is that you can print your very own corporate logo or company message. If you are planning a corporate event or festivity, then this party essential is for you! We offer nothing but the best high-quality printing method, guaranteed the colour will turn out nicely and stay on the balloon as long as the balloon remains unpopped by kids. The printed balloons will guarantee catching the eye of anybody and this is a perfect way to promote your company’s logo and message. 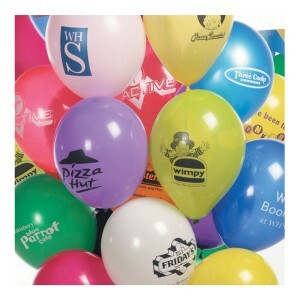 The printed logos can come with multiple colors, up to 4 colors on 2 sides of the balloon, to be specific. We have five types of materials that are used for the balloons, and you can choose either the standard, decorator, crystal, metallic, or pearls type of material, depends on which you like more. We have a wide array of colors and we ensure you that you will find the perfect printed balloon that you may require for your festivity. Please feel free to contact us!